In 2010, social media was an important factor in the elections and the new administration intended to maximize the use of social media as a channel for effective mass communication and engagement. The Department of Education needed to take its communication and advocacy efforts to another level as well. Communication in a large organization with 700,000 employees spread over thousands of locations and with millions of external publics is a challenge. 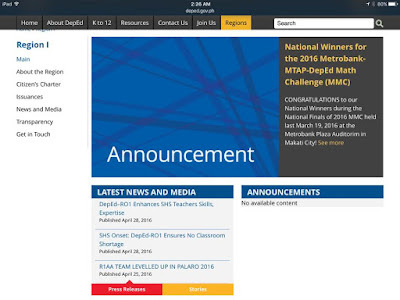 Traditionally, DepEd would communicate via traditional channels such as magazines and news dailies, interviews with tv, radio and print, and through events. 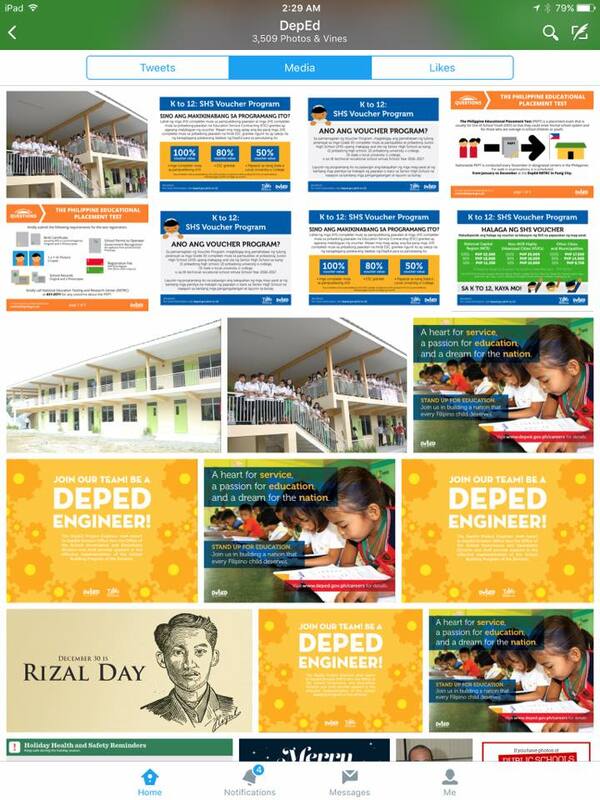 A website was being maintained that was used mainly to post DepEd policy issuances. 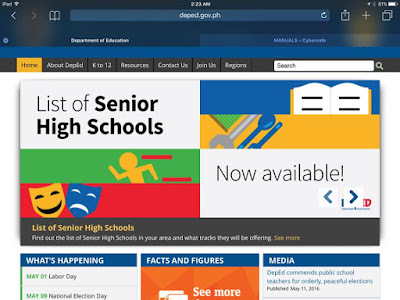 It was also funny that the website had such a busy look with so many organizational partner logos drowning out the DepEd brand. 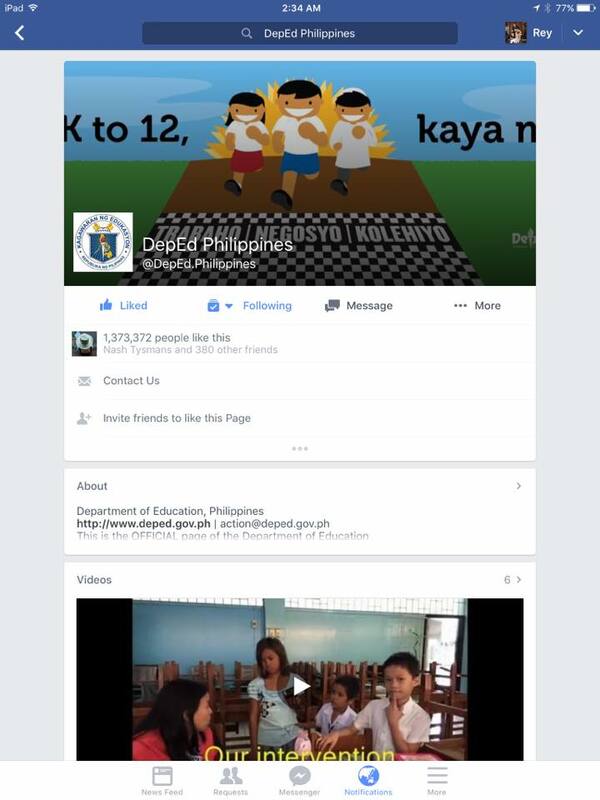 DepEd also wanted to establish presence in social media. When MMDA launched its Twitter account, it was such a hit. 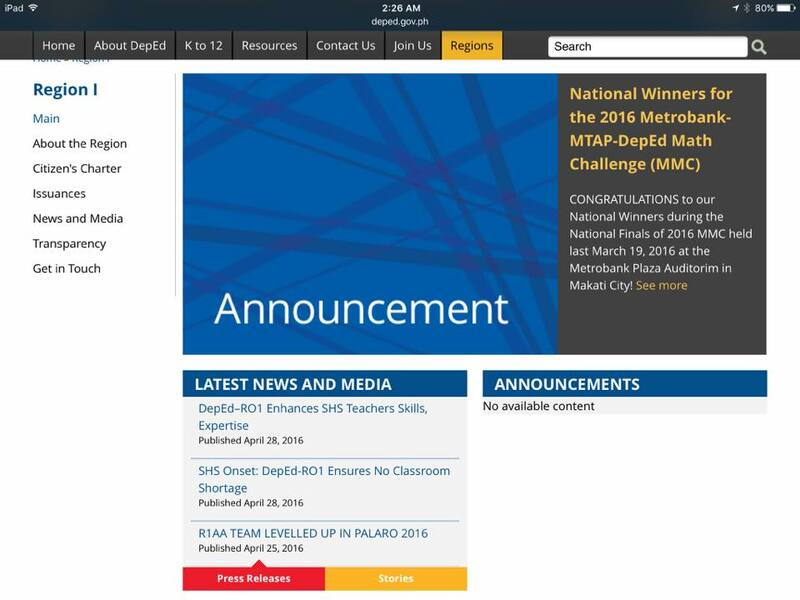 It was interacting with its followers and daily traffic updates were just very practical and useful for Metro Manila commuters. 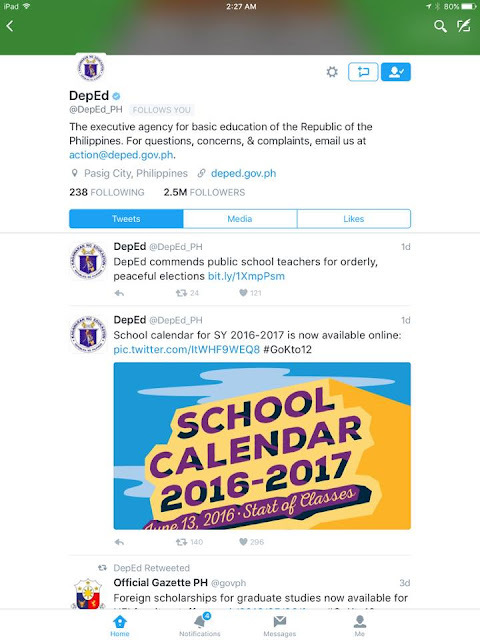 At around the same time, DepEd created its official Twitter and Facebook accounts managed by a small team of two to three people. 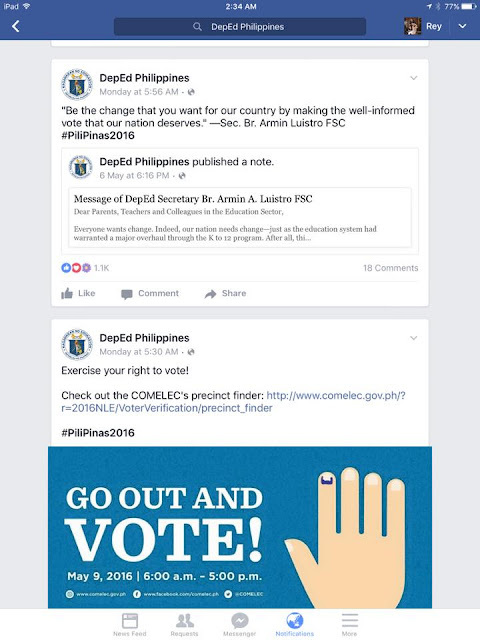 We were trying to figure out that we couldn't really do daily posts as often as MMDA but we had the potential to reach more since we had an audience spread all over the archipelago. And of course, education was everyone's concern. Our followers grew and grew and now we have 1.3 million followers on Facebook and more than 2.5 million followers on Twitter. On the average, our Facebook post is able to reach 300,000 people on an organic basis. DepEd uses its social media accounts mostly to relay information, the most popular being the declaration of class suspension (#walangpasok) and class resumption. Policies are also announced. These channels are also used to urge stakeholder participation and engagement. 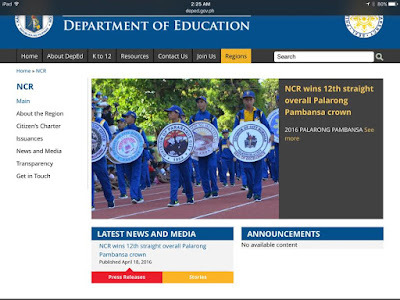 One example was the launch of #SchoolPatrolPH, a crowdsourcing platform where the public can report school damages after any disaster. This helped the Department in getting pictures and other data that hastened the validation process for repair requirements after Typhoon Glenda in 2014. 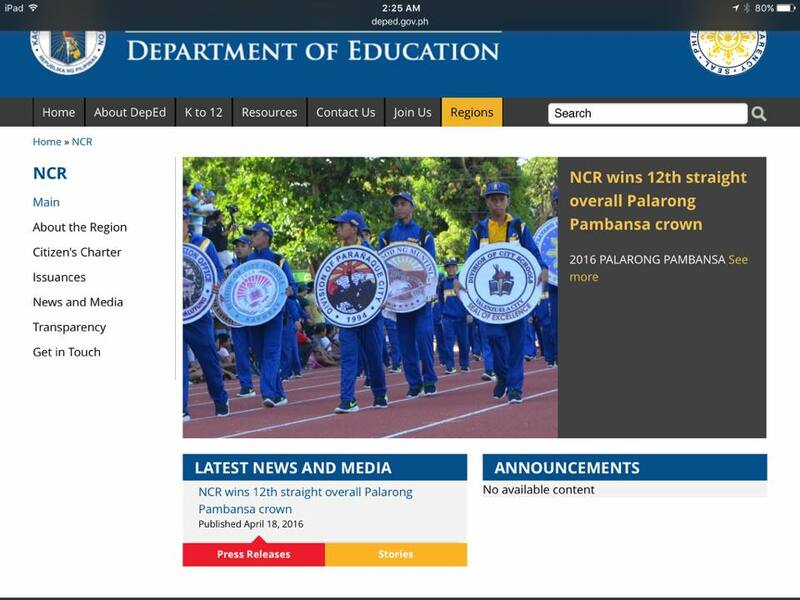 Rappler even recognized DepEd_PH as a top influencer in disseminating #walangpasok information to students and parents. 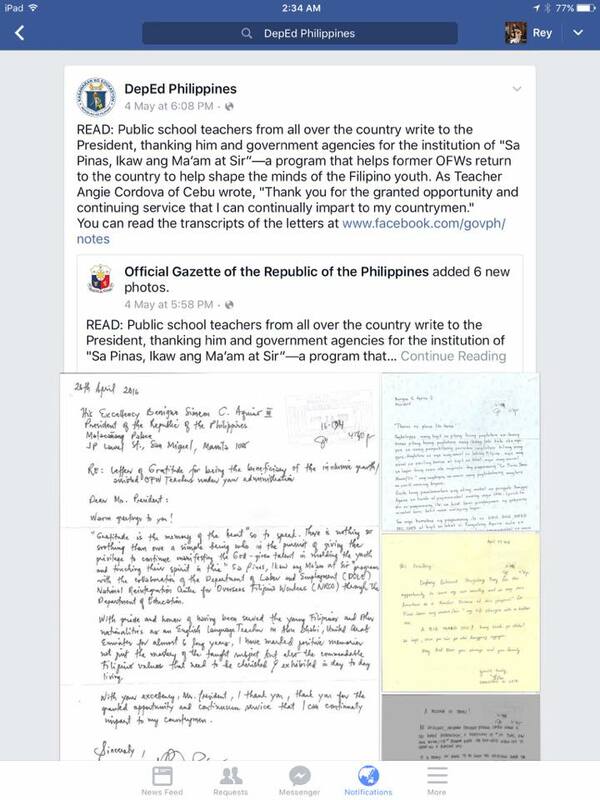 Another way of engagement is getting the general public to send reports/complaints via FB message of DepEd since there is higher presence in that channel. Teachers and staff were also online and we started creating groups where online chats transpired for technical support to EBEIS rollout. Groups of teachers and non-teaching employees also created their own online venues for discourse, clarification and queries, and even just greeting someone on his or her birthday. 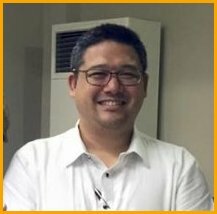 Communities were being formed by different groups within DepEd. Students were also starting to interact with DepEd accounts asking questions or giving comments. This is a great opportunity for DepEd to also better understand online behavior of our own learners and how we could respond better, or how our teachers could teach better. 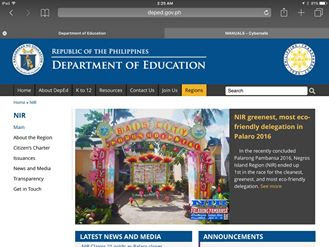 Indeed, DepEd is online and there are more opportunities for enhancing the Agency's presence for better and wider engagement with its stakeholders. Managing this presence is not simple and requires talent and organization. This is one channel that should continue to be supported and enhanced towards the accomplishment of the Agency's outcomes of access, quality and governance.